The Ultimate Fishing Rod Holder. 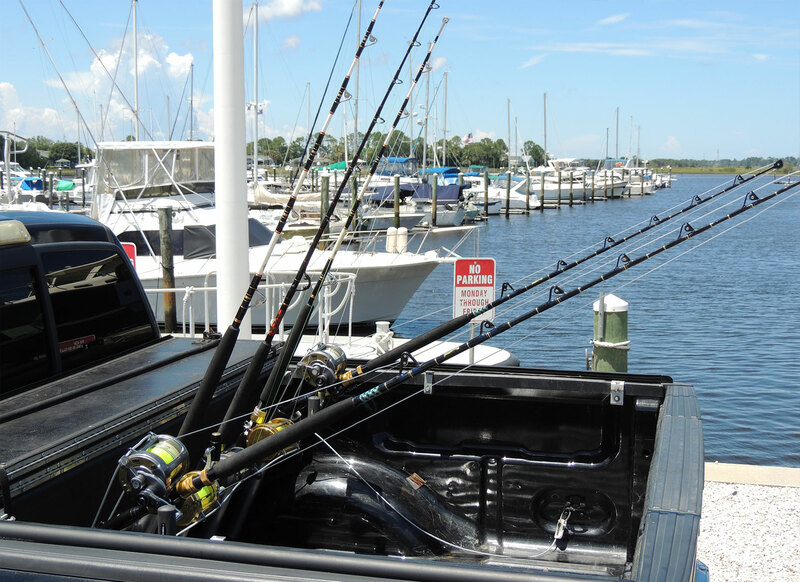 The Portarod Inshore 3 Rod Holder provides a better way to transport your rods – right in the bed of your truck. The ratcheting support bar expands from 53″ to 84″ to fit almost any truck bed. 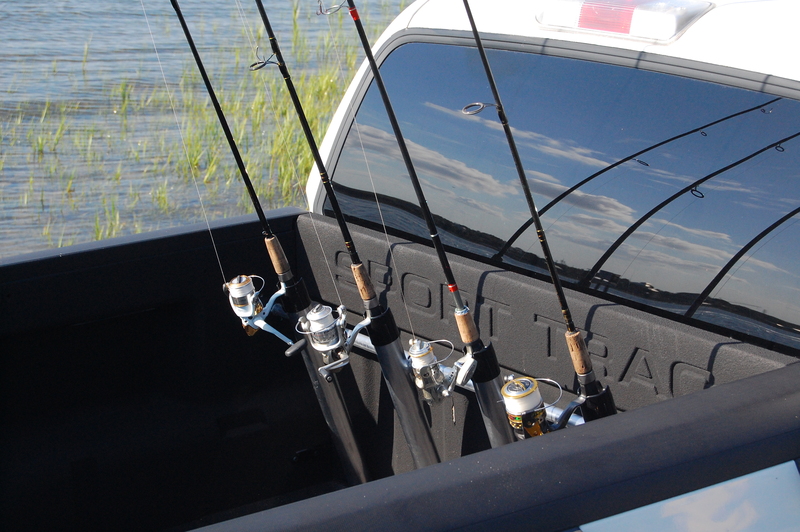 The Portarod 4 Rod Holder provides a better way to transport your rods – right in the bed of your truck. The ratcheting support bar expands from 53″ to 84″ to fit almost any truck bed. 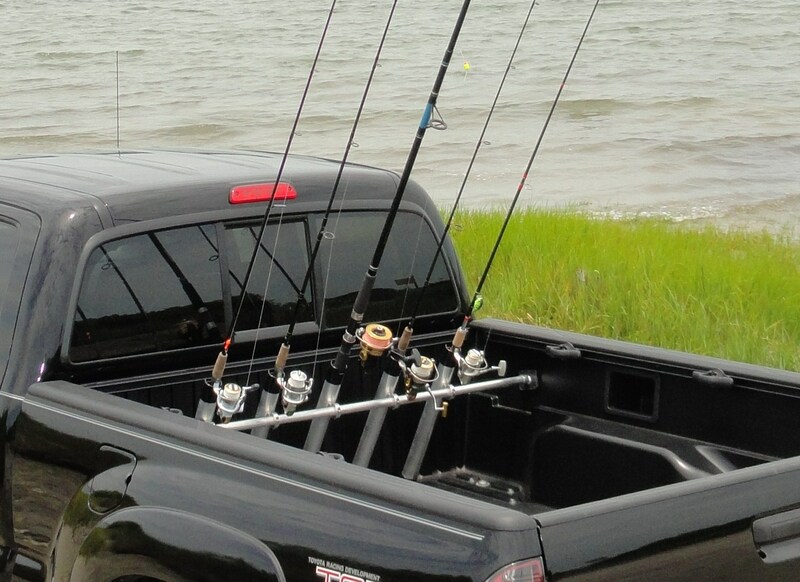 The Portarod 5 Rod Holder provides a better way to transport your rods – right in the bed of your truck. The ratcheting support bar expands from 53″ to 84″ to fit almost any truck bed. The Portarod Hat is now available in multiple colors to fit your style. Click the Shop Now button below to choose from Aqua Blue, Navy/Orange, White/Navy, Camo, or Tan/White. Protect Your Gear and Your Truck. Portarod is unique from other rod transporters because it doesn’t require drilling into the bed of your truck. By using the patented Portarod ratcheting crossbar, your Portarod is placed and secured in moments and is removed easily. Designed to fit any truck and adjusted to any angle, your Portarod system will protect your gear and your truck. 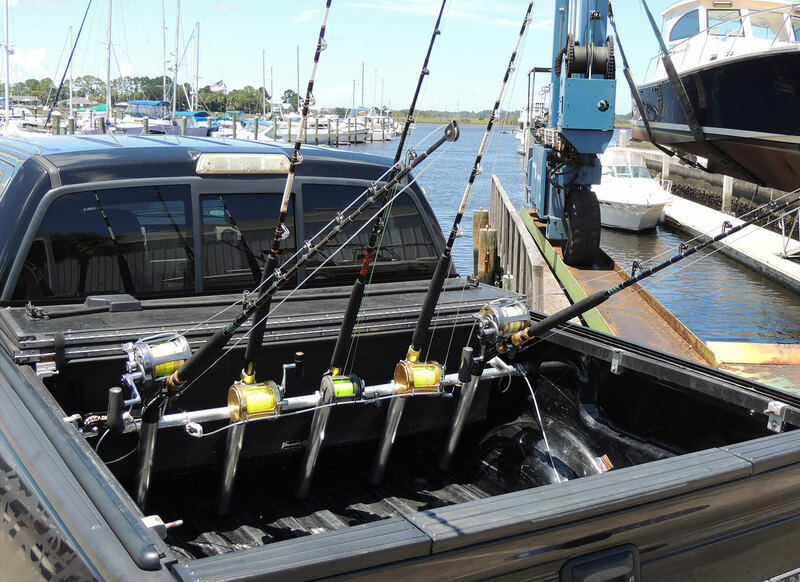 The Best Way For Truck-Owning Fishermen to Transport their Rods Securely, Safely and Easily. Adjust Angle of Rods for Low Ceiling Environments. The Best Fishing Rod Rack for Your Truck. There’s no drilling required. 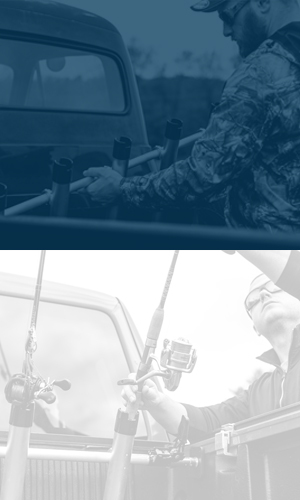 While other fishing rod racks require drilling to install, causing permanent damage to the bed of your truck, Portarod was designed to maintain the integrity of your vehicle. Portarod also enables you to adjust the angle that your rods sit while in transit, allowing for passage through low ceiling entryways such as garages, roads with low-hanging trees, or restaurant drive-throughs. The patented Portarod ratcheting crossbar is adjustable and allows for a secure fit in any truck. The ratcheting crossbar also allows Portarod to be easily removed at any time. The ratcheting support bar is expandable (53″ – 84″) and will easily fit to any year, make, or model truck. You can also adjust the space between each Portarod rod holder.